In the 1930s, Colonel E.R. 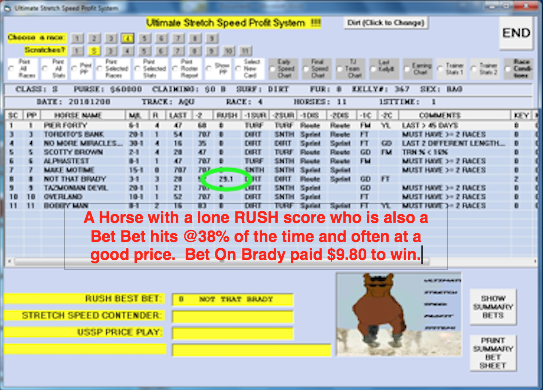 Bradley made a fortune by betting horses that ran exceptionally fast Final Quarters. Well, the fact is horses who come home fast STILL WIN the majority of races, but most handicappers have no idea on how to spot them. 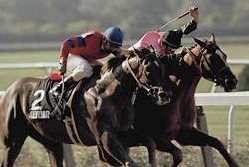 Professional Handicappers have know all about the POWER of the Final Fraction for eons. 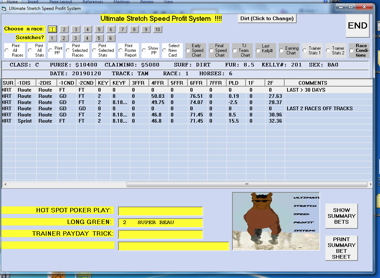 Now you can join in on the fun, and Profits with The Ultimate Stretch-Speed Profit System! 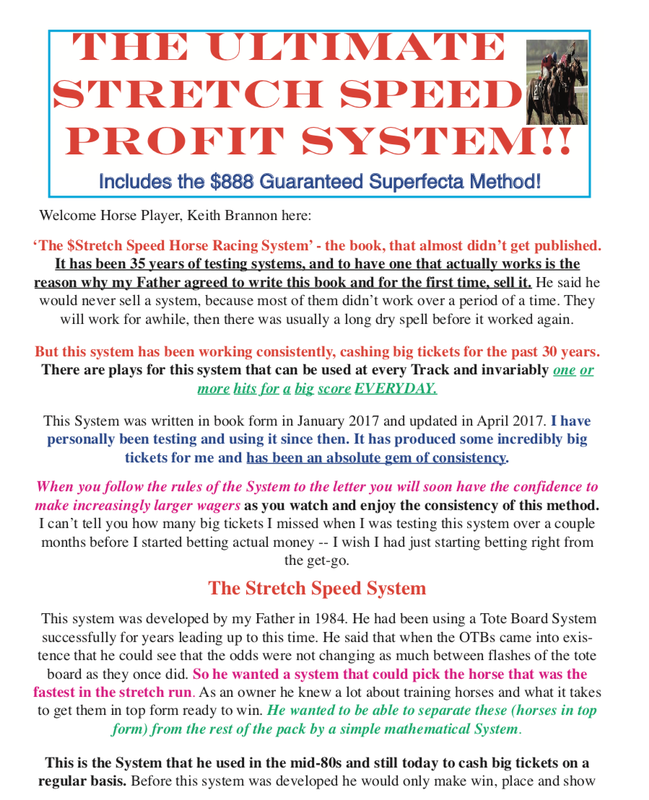 The Ultimate Stretch Speed Software takes all the complexities or this very sophisticated system and lays out all the details and plays with a couple of clicks of a mouse. The screenshot below shows you exactly how the software is laid out. In fact, you can get even more details by scrolling to the right. It’s a real Beauty – loaded with info that only a tiny, tiny % of the crowd is even aware of! Above is the first view you see when you click on a race. The below view you get when you scroll to the right. And while the program will provide the selections, many players will find the Surface changes, Route to Route, Route to Sprint, Sprint to Sprint as well as the Furlong time measurement columns, etc., more meat to chew on. 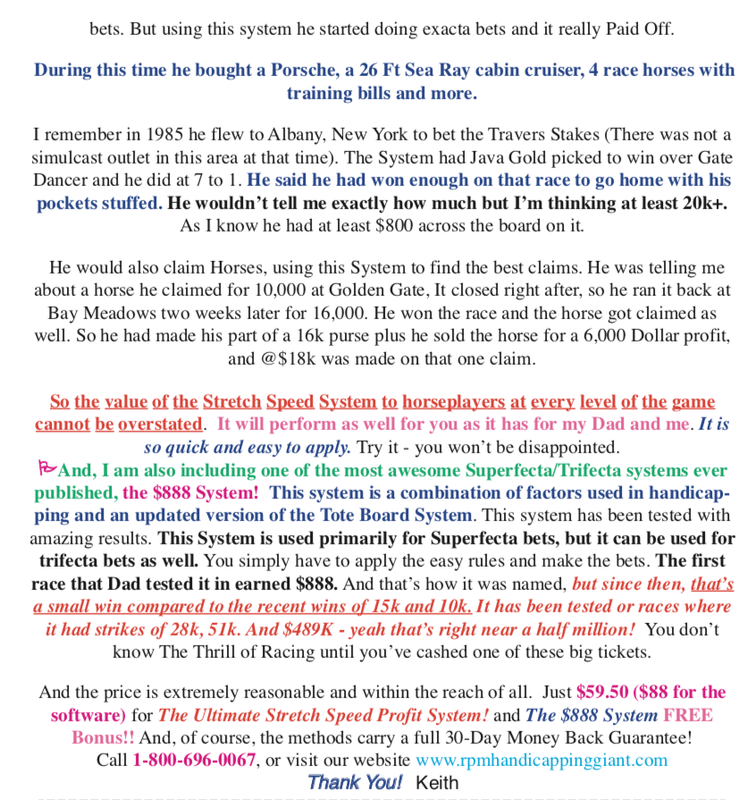 Call us at 1-800-696-0067 or visit our website: www.rpmhandicappinggiant.com Thank You!